What’s all the fuss about Curry Leaf Cafe? 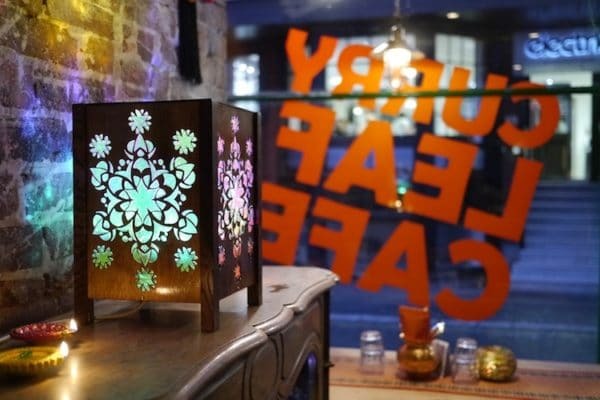 With three venues across Brighton, the cheery orange and green logo of Curry Leaf Cafe is a familiar sight. One may be in danger of thinking The Curry Leaf Cafe is a small chain offering the same product in each location. However, each of the multi award-wining venues offers something different, reflecting how the individual locations themselves mirror different aspects of Indian cuisine. From a grab and go biriyani at the station to a street food classic in the bustling marketplace of the Lanes, there’s more to Curry Leaf Cafe than meets the eye – and the tastebuds! The Kiosk at Brighton station is purpose built with two service windows so that those waiting either side of the barrier can grab a bite to eat. 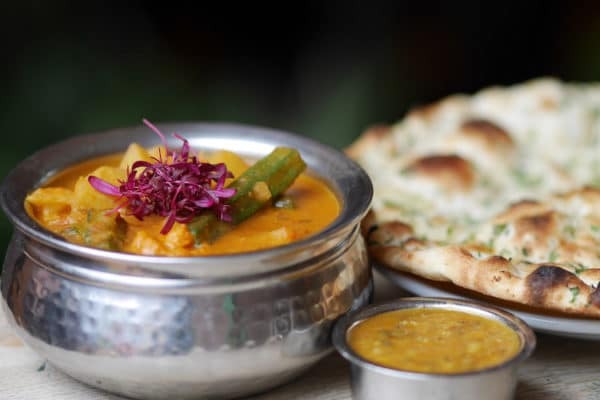 Open daily from very early ’til late you can set off on your day with the Indian equivalent of a breakfast bap, the vada pav, and come home to something more substantial like a chicken tikka makhani served with rice and a side of daal for less than a tenner. For the traveller on the go, the Curry Leaf Kiosk is so much better than the usual carb-heavy wilted sandwich or tasteless pastry from a standard station concourse. With everything cooked and ready in 3 minutes or less there’s no waiting round either. This is good-for-you-food, full of slow release carbs to keep you going. Great tasting, very reasonably priced, and served in compostable packaging so it wont cost the earth either. The Original Curry Leaf Cafe in the heart of the Lanes remains as vibrant and friendly as ever. 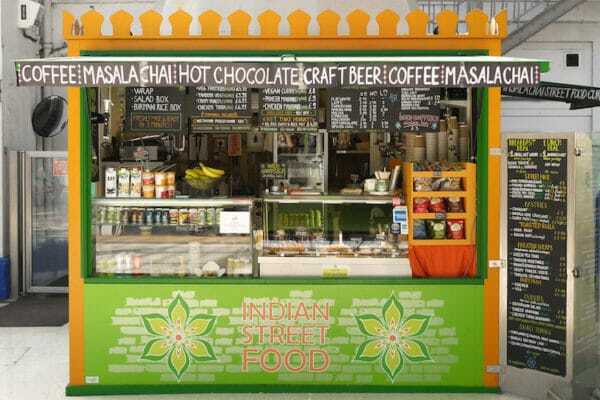 During the day the cafe is a lovely spot to stop off just for a snack or a light lunch from their authentic South Indian street food menu. Dim the lights and the cafe is set in the evening for a much more intimate feel with starters, main courses, spiced desserts and – for those looking to make a real evening of it – a range of Indian-inspired cocktails to choose from. 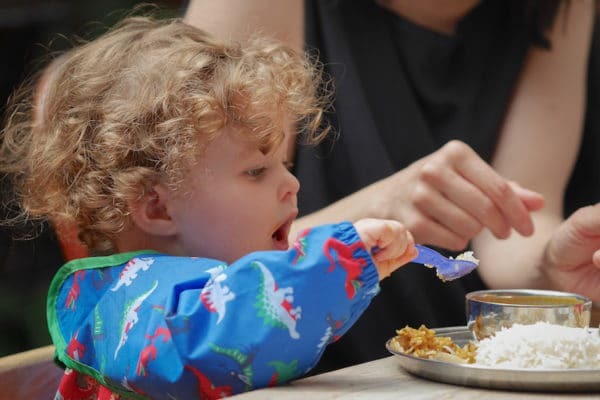 If you’re in town with the family in tow, their Brighton Lanee Cafe is great for children too. A main and a dessert will set you back just £5 and you know they’re getting something wholesome, made with local produce, that’s flavoursome but not overly spiced. The Curry Leaf Cafe has been listed every year as a ‘Local Gem’ in The Good Food Guide. GQ Magazine voted it one of ‘The Best Indian Restaurants in London’, pipping thousands to the list despite geography being against them. Without this turning into a list within a list other accolades include Olive Magazine ’19 Best Indian Restaurants in the UK’, BBC Good Food Magazine ‘Britain’s Best Indian Food’ and The Guardian ‘Top 10 Places to eat in Brighton’, not to mention several high entries in the BRAVO 2017 and 18 awards. 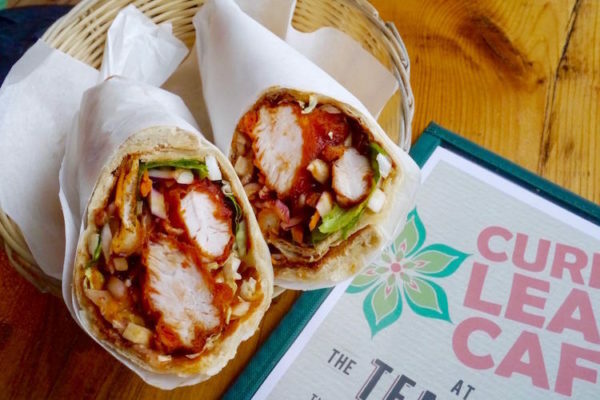 The trend toward veganism or ‘flexitarianism’ is showing no sign of slowing and Curry Leaf Cafe has been on top of it for some time with one of the largest selections of plant-based dishes around. The Kiosk is predominantly vegan, the Cafe is easily half and half and the Kemptown Kitchen offers a stand alone vegan sharing menu all year round. Little wonder they rank in Olive Magazine’s ‘Top 10 Flexitarian Restaurants’. 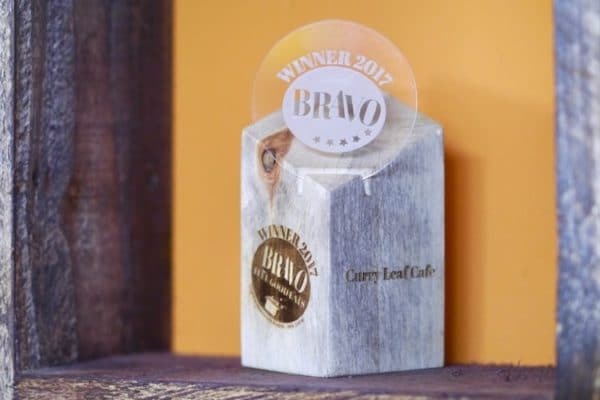 The Freefrom Eating Out Awards handed a gold accolade to Curry Leaf Cafe in 2017 thanks to its clearly labelled menus, which mark vegetarian, vegan and gluten-free dishes as a matter of course. The judge remarked that the kitchen team exhibits “a real confidence in catering for allergies”. While allergens such as milk, gluten and nuts are highlighted on the menus, people who suffer from chronic side-effects should still let the restaurant know on arrival to make sure of a safe, enjoyable meal. 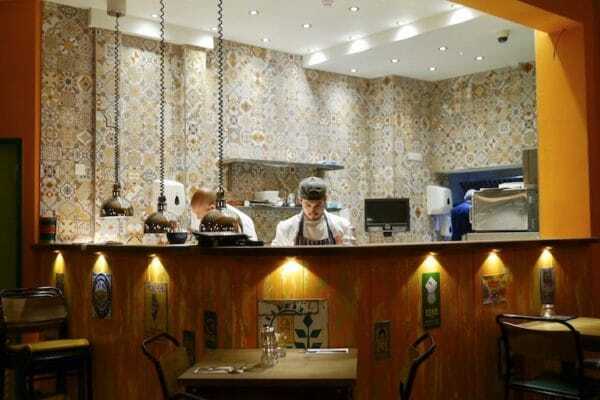 The Kemptown Kitchen offers yet another unique feel to the Curry Leaf Cafe family. Designed with the same relaxed casual feel of the cafe, the cuisine here moves a little away from the traditions of Southern India into a more playful and modern take on all of India’s regions. The social focus is turned up a little too, with food being served tapas style, to be shared. India Pale Ale (IPA) is the hands down drink to match with Indian food with the hoppy freshness designed to quench the thirst. 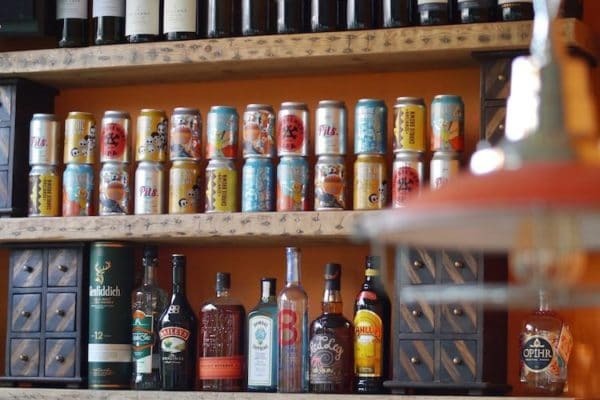 All three venues offer a great selection of craft beers specifically matched to the flavours of India, including wheat beers, red & golden ales, porters and ciders, as well as the more obvious IPAs and lagers. If you’re not an ale fan both Kitchen and Cafe serve a good selection of wines by the glass and bottle and as already mentioned, there’s inspired cocktails. Can’t be bothered to cook and too lazy to go out? 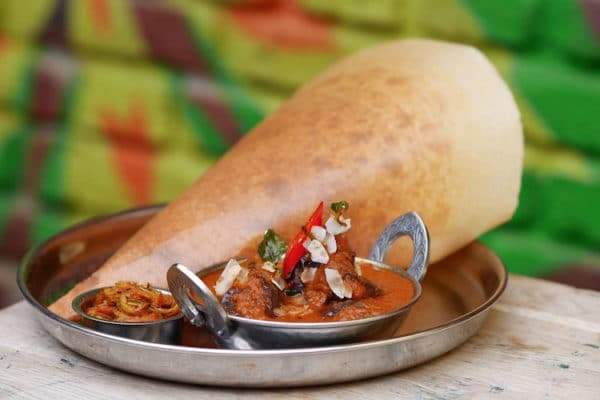 No problem, we’ve all been there.All three Curry Leaf Cafe venues in the city deliver their unique range of Indian food and craft beer via Deliveroo. And those who live close enough to pick up their dinner can enjoy a 10% discount by using the brand’s nifty online ‘click and collect’ service. 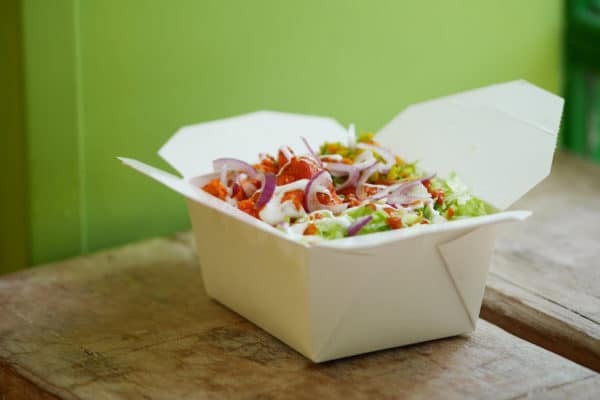 Their food also comes in compostable and biodegradable packaging, and you guessed it – they’ve won an award for that too!